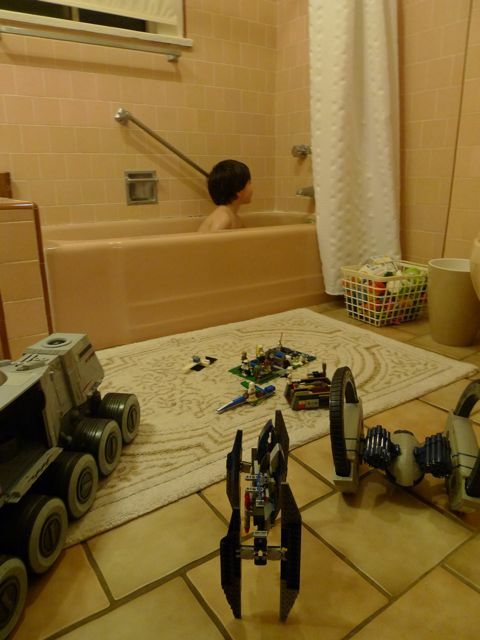 Bathtime in the Galaxy - . Yeehaw! Vintage 1950s pink tile bathroom!! Yes! Must be just the one kid thing. That is an impressively large bathroom. Having grown up in NYC rental apartments, my parents would have had to back out into the hallway to get that shot. Props for me because misplaced modifiers are cool.